The US yesterday (16 March) condemned once again Russia’s Crimea annexation, vowing to maintain sanctions until Moscow returns the Black Sea peninsula to Ukraine. The EU prolonged personal sanctions and the European Parliament passed a resolution supporting the territorial integrity of Ukraine. “Crimea is a part of Ukraine. 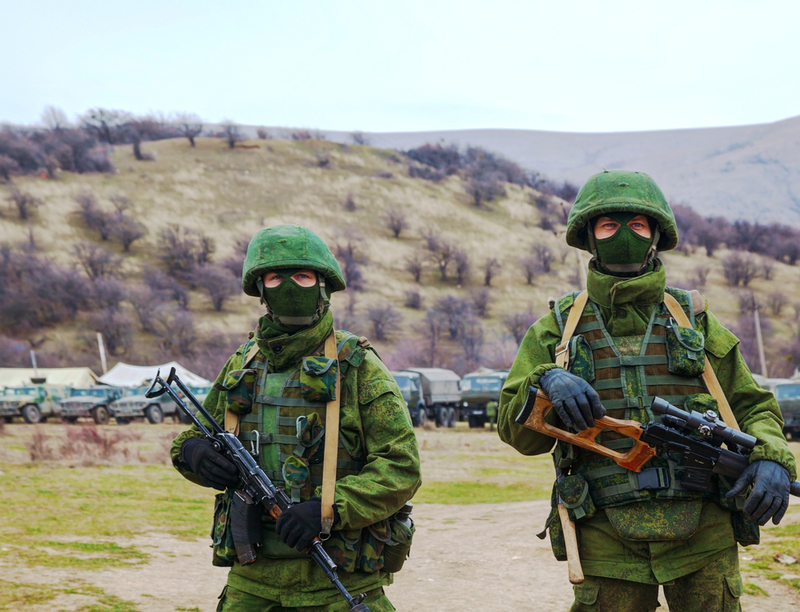 The United States again condemns the Russian occupation of Crimea and calls for its immediate end,” said acting US State Department spokesman Mark Toner in a statement marking the three-year anniversary of Moscow’s takeover of the peninsula. “Our Crimea-related sanctions will remain in place until Russia returns control of the peninsula to Ukraine,” he said, as quoted by AFP. Russia annexed the Ukrainian peninsula on 18 March following a military intervention and a hastily organised referendum, which was rejected by the international community. “The United States does not recognise Russia’s ‘referendum’ of 16 March 2014, nor its attempted annexation of Crimea and continued violation of international law,” said Toner. In the statement, the US also called on Russia to “cease its attempts to suppress freedom of expression, peaceful assembly, association, and religion” among Crimean Tatars, ethnic Ukrainians, pro-Ukrainian activists and journalists. The US move is likely to dispel fears that the administration of Donald Trump is likely to lift the sanctions against Russia imposed over its intervention in Ukraine and the annexation of Crimea. The European Parliament passed a resolution yesterday, expressing equal concern about the deteriorating human rights situation in Crimea, condemning the discriminatory policies against the Tatar minority and the infringement of their property rights. MEPs also called on Russia to release immediately all illegally and arbitrarily detained Ukrainian citizens, both in Russia and in the temporarily occupied territories of Ukraine, and to provide for their safe return. These include Mykola Karpyuk, Stanislav Klykh, Oleksandr Kolchenko, Oleg Sentsov, Oleksiy Chyrniy, Oleksandr Kostenko, Serhiy Lytvynov, Valentyn Vyhivskyi, Viktor Shur, Andriy Kolomiyets, Ruslan Zeytullayev, Nuri Primov, Rustem Vaitov, Ferat Sayfullayev, Akhtem Chiyhoz, Mustafa Dehermendzhi, Ali Asanov, Inver Bekirov, Muslim Aliyev, Vadim Siruk, Arsen Dzhepparov, Refat Alimov, Zevri Abseitov, Remzi Memetov, Rustem Abiltarov, Enver Mamutov, Artur Panov, Evheniy Panov, Roman Suschenko and Emir-Usein Kuku, among others. EU lawmakers also urged Russia to allow all the above-mentioned people to travel freely, including Mykola Semena, who is being prosecuted for his journalistic work for Radio Free Europe/Radio Liberty. The resolution was passed with 451 votes for, 73 against and 86 abstentions. On Russia-related issues there is a tradition of MEPs voting against the instructions of their political group leaders. 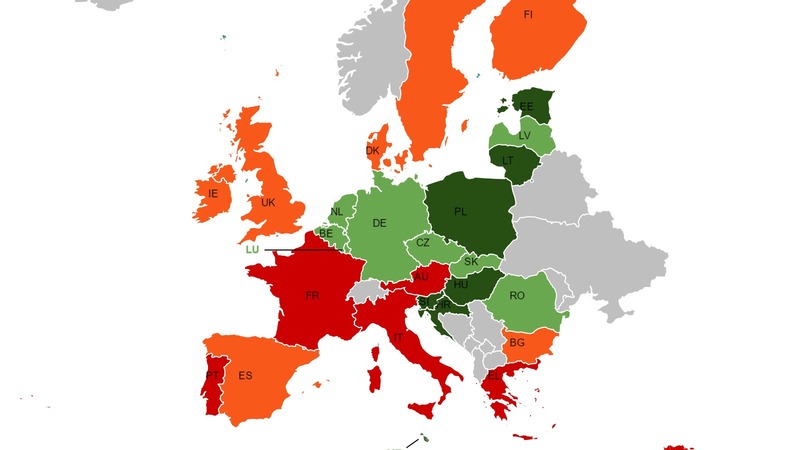 According to VoteWatch.eu those who voted against are mainly leftwing MEPs (GUE-NGL group), Eurosceptics from Nigel Farage’s EFDD group and right-wingers from Marine Le Pen’s ENF group. From the mainstream parties, those who voted against are three S&D MEPs (Petar Koroumbashev and Momchil Nekov from Bulgaria and Andrej Mamikins from Latvia), two MEPs from the EPP (Nadine Morano from France and Theodoros Zagorakis from Greece), as well one Green MEP (Tatjana Zdanoka from Latvia). Among those abstaining are 23 MEPs from the S&D group and 14 from the EPP. Among the EPP rebels are big names such as former European Parliament President Jerzy Buzek and former European Commissioner Viviane Reding. All liberal MEPs voted in favour of the resolution. In recent years ALDE leader Guy Verhofstadt has elevated himself to the position of being the main critic of Vladimir Putin’s policies. Also yesterday the European External Action Service published a wrap-up of the EU’s restrictive measures in response to the crisis in Ukraine. The latest measure was the prolongation on 13 March of the asset freeze and travel restrictions against 150 persons and 37 entities that are subject to an asset freeze and a travel ban over their responsibility for actions which undermine or threaten the territorial integrity, sovereignty and independence of Ukraine. On 13 March, the Council prolonged these measures until 15 September 2017. The economic sanctions are due to be reassessed on 31 July, this year. 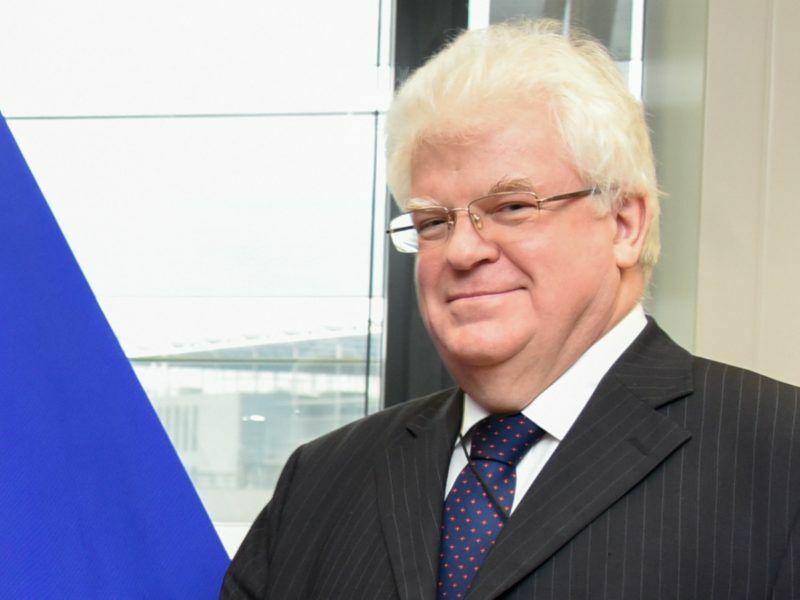 In an exclusive interview with euractiv.com, Russian Ambassador to the EU Vladimir Chizhov called the EU Council decision from 13 March “disappointing” and “not leading anywhere”. The USA and EU should get the Nobel prize for hypocrisy. Russia annexed Crimea because it was part of Russia for two centuries, had been “donated” to Ukraine by Khrushev in 1964, is inhabited by Russian and there was a referendum that approved of the move. 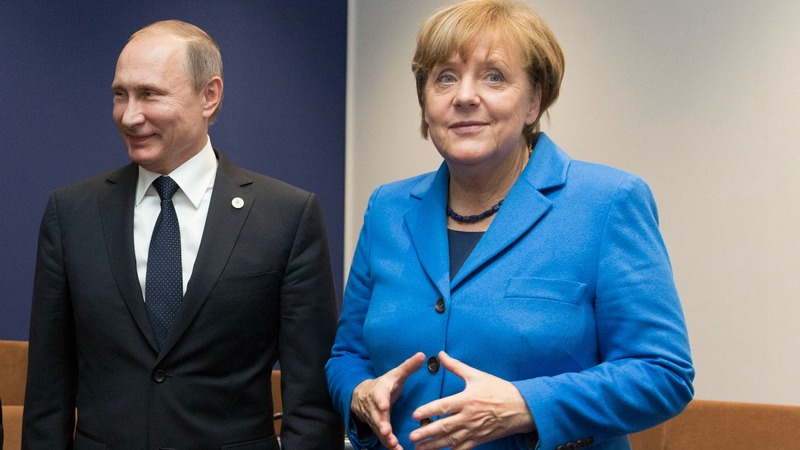 The only reason why the West keeps sanctions against Russia is because it wants a more pliable leader than Putin. The West preferred the drunkard in chief, Eltsin, which allowed its firms to loot Russia’s natural wealth and transformed Russia from a superpower into a basket case. Come on, Euraktiv, start acting as a serious newspaper. The Soviet Union chose to administer the autonomous Crimean region through Kiev because Crimea was not physically connected to the Russian Soviet Republic and Crimea received most of its water, electricity and food from Ukraine. It was an administrative move that made sense in 1964. The coup that resulted in Crimea being annexed by Russia was initiated when the parliament of Crimea was surrounded by armed men and the parliament voted at gunpoint to hold a referendum. President Putin claimed personal credit for planning and leading the execution of the seizure of Crimea. Clearly, this was not a spontaneous initiative of the people living in Crimea. The sanctions were initiated because of Russia’s actions that threaten the security of Europe. If Russia had not dismembered Ukraine there would be no sanctions. In the 2012 parliamentary elections pro-Russia parties secured less than 4% of the vote. The parliament of Ukraine voted 318 out of 449 votes in late May of 2013 to approve the agreement with the EU that had been negotiated by president Yanukovych reflecting support from all regions including Crimea and the Donbas. The elite that the Soviet Union produced chose to steal from the country rather than to build the country. Capital flight has continued through the Putin years. If the oligarchs had chosen to build their country instead of exploiting it for their personal gain Russia by now could have had one of the highest GDP per capita in the world. Putin did not stop the capital flight. The highway between St. Petersburg and Moscow remains to finish as do many projects that would boost economic performance. Oligarchs are the legacy of America’s beloved Yeltsin. the real coup was not that which separated Crimea from Ukraine, but that which led to the dismissal of Yanukhovich. The Crimeans, and the Eastern regions had voted for the Part y of Regions of Yanukhovich. When they saw that a coup engineered by the West would have deprived them of the right to participate meaningfully in their country’s politics, they took up arms. Sure, with Russia’s support. But Russia responded to what the West had done. Insofar as Russia threatening Europe’s peace, please, a minimum of common sense. Russia has 1/4 of the population of the EU and spends 1/10 of Nato’s. For Russia to invade the EU would be like me picking up a fight with Tyson. Come on, Vidvuds, you can’t disagree with that.